Reducing and avoiding CO2 emissions becomes increasingly important for ecologically orientated print shops. Heidelberg is the pioneer when it comes to Ecology. Since October 2011 we offer all models of the Speedmaster ranges as carbon-neutral presses. 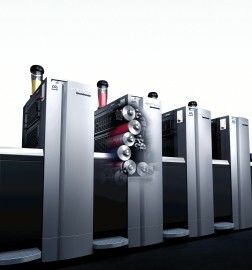 Since drupa 2012, all machines (Prepress, Press und Postpress) from Heidelberg are available as "CO2-neutral". According to current scientific knowledge, the emission of greenhouse gases is mainly responsible for the climate change. The most relevant greenhouse gas is carbon dioxide (CO2). Further greenhouse gases defined in the Kyoto Protocol are calculated in CO2 equivalents (CO2e). The most important greenhouse gas emissions are generated by the combustion of fossil fuels. Following international eco-balance standards Heidelberg - in co-operation with the TU Darmstadt (Darmstadt University of Technology) - has elaborated a method for precisely calculating the CO2 footprint of printing presses. The CO2 footprint of the printing press is calculated according to cradle to gate and additionally the transport to the customer. It is based on a detailed analysis of energy consumption and transport needs, as well as on the percentage of the various materials with their specific CO2 footprint. In this case, not only the CO2 emissions caused during the production at Heidelberg will be taken into consideration, but also those of the suppliers. Depending on the equipment, approx. 260 tons of carbon dioxide are generated during the manufacturing of a Speedmaster XL 106-6+L. The percentage inherent to the material and the energy needed for production tends to be equal. The material's largest CO2 driver is not the steel, but the electronic components. The Fraunhofer Institut UMSICHT certifies that Heidelberger Druckmaschinen AG calculates the CO2 footprint for manufacturing printing presses according to the rules. Greenhouse gas emissions generated during the manufacturing of a printing press are compensated by purchasing climate protection certificates which correspond to the Carbon Footprint of the press. The emission credits or certificates are attributed to specific climate protection projects. Heidelberg has decided to obtain the certificates of the PROJECT TOGO which supports an afforestation project according to the Gold standard. In the future, the commitment to climate protection can be a factor that is decisive for the growth of your business. 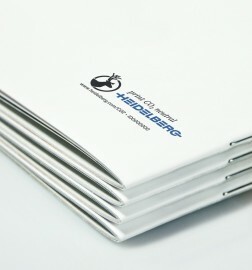 The "CO2 -neutral" label that identifies the carbon-neutrality of the machine is just beside the Heidelberg logo. This illustrates the ecological commitment of the print shop and assists in its differentiation. Our CO2 calculator enables you to generate the CO2 footprint of your print products. 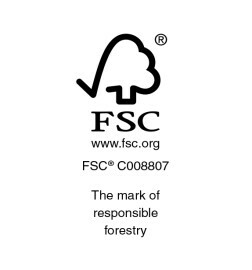 Heidelberg supports the FSC®. Therefore we use paper from sustainable forests in our demonstration rooms and printed products. Printed products may be labeled with the "CO2 neutral" Logo. 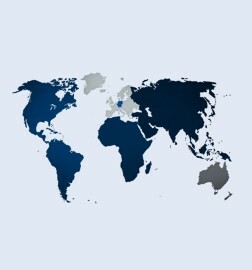 With the indicated number you can find the company profile of the print shop.